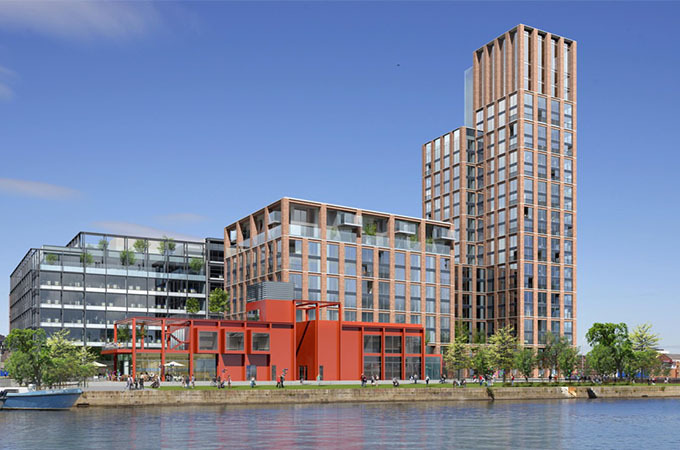 Capital Dock will comprise of Grade A offices and premium riverside apartments on completion. 100, 200 and 300 Capital Dock are three LEED Gold standard office buildings at the heart of Dublin’s South Docklands that collectively offer 343,483 sq. ft. of premium office accommodation.